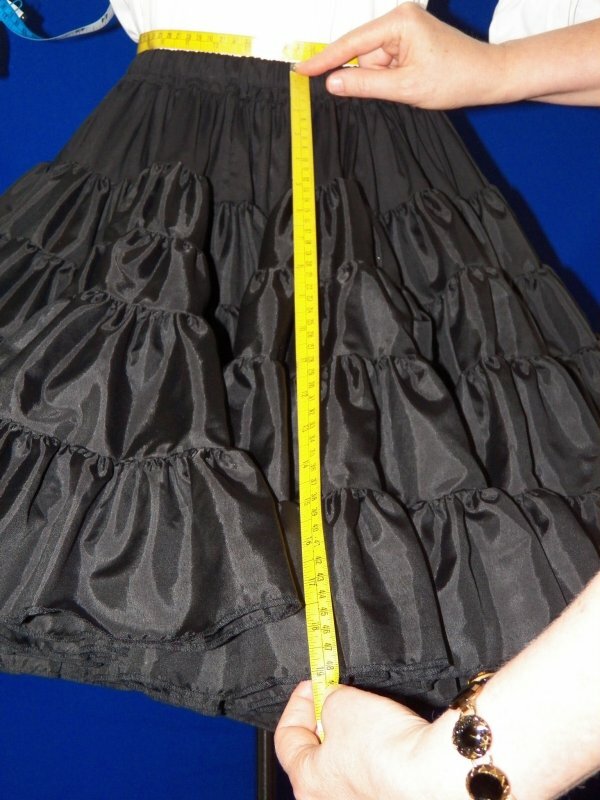 Skirt length - Measure from below skirt waistband. Bust: Measure at fullest part (not bra size). Arm: Measure where the elastic goes around. 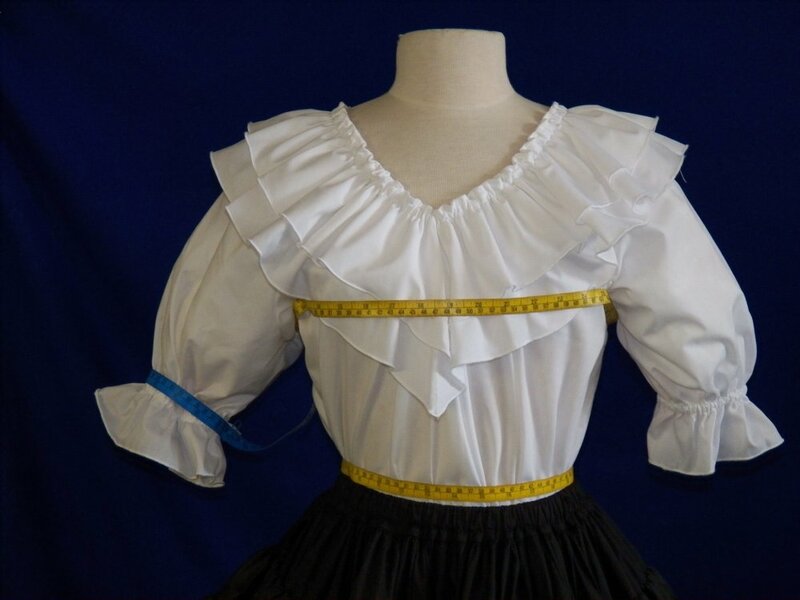 Length: For skirts measure below the skirt waistband. For petticoats measure from top of petticoat waistband. Small - Size 6-10; bust 34"-38"
Medium - Size 10-14; bust 39"-42"
Large - SIze 16-18; bust 43"-48"
Extra Large - Size 20-22; bust 49"-52"
Small - Size 6-10; waist 26"-30"
Medium - Size 10-14; waist 31"-35"
Large - SIze 16-18; waist 36"-40"
Extra Large - Size 20-22; waist 41"-44"
Traditional skirts: Measure the desired length below the waistband. Lengths 19"-23" are standard. Longer lengths will be subject to a price variation. Shorter skirts will be non-returnable. 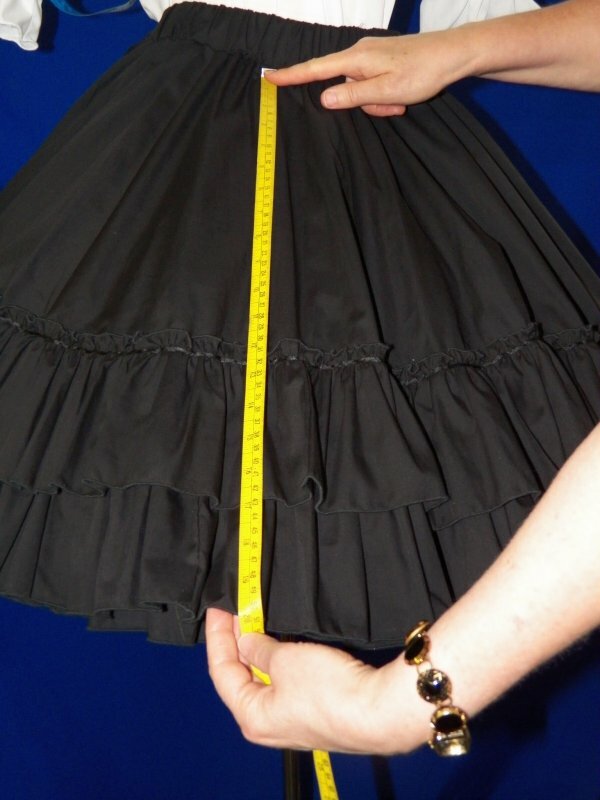 Prairie Skirts: Measure the desired length below the waistband. Should fall mid-calf. Skirts are full at the bottom.